At Total Signs and Graphics Limited we are committed to providing a full service, for this reason our customer’s ultimately decide what we invest in. 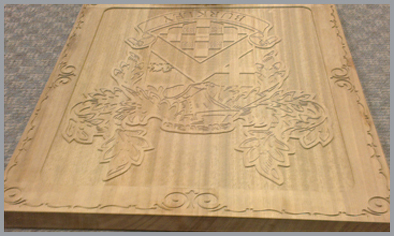 Our CNC Router provides the opportunity for us to design and produce detailed engraved and shaped products in various substrates, including hardwoods. Every week we challenge ourselves with new designs and products we are requested to provide, it’s this diversity that helps to keep us at the top of our industry. At Total Signs and Graphics Limited we believe in controlling our service to ensure we keep to our customer’s deadlines. We buy in base substrates and manufacture most signs on site. 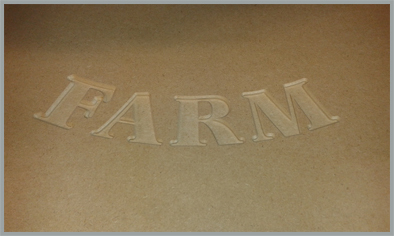 Our CNC Router workshop operates continuously for over ten hours per day engraving, shaping and cutting letters. This bespoke oak panel has been routered for a client in London. 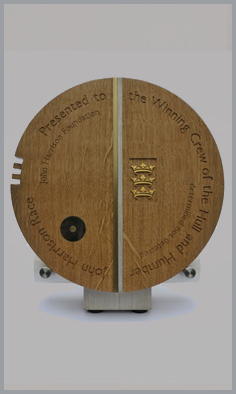 This very detailed John Harrison Trophy, was presented to the winners afore named around the world yacht race. This was our opportunity to work with gifted designers. We were able to show that we could rise to the challenge where others had declined to attempt the detailed engraving work, given that one mistake would deem the Trophy worthless. As part of our normal working week, we provide the CNC Router services for many products found at Parks and Conservation areas.